LAGRANGE, Ga. - Authorities say they are searching for a "person of interest" after five people were found slain inside a home in west Georgia. Investigators are looking for a 26-year-old identified as Thomas Jesse Lee, who may be driving an olive green Mazda Tribute, the Troup County Sheriff's Office said Sunday. The five bodies were found after 10 p.m. Saturday, The LaGrange Daily News reported. Troup County Sheriff James Woodruff said four were family members. The fifth was a friend who recently moved into the home. The victims were identified as William Burton, 69; Shiela Burton, 68; Christie Lee, approximately 33; Tiaonna Green, 18; and Bailey Burton, 16, according to CBS Atlanta affiliate WGCL. 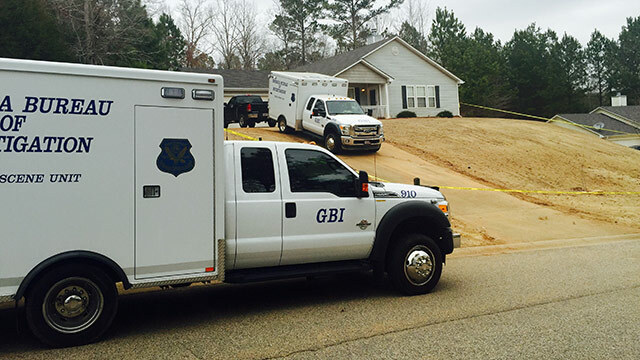 The bodies were reportedly found when police conducted a welfare check at the home. Each had been shot to death.